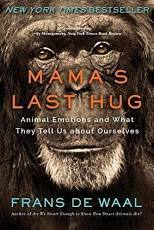 Frans de Waal's Mama's Last Hug: Animal Emotions and What They Tell Us About Ourselves gets a rave front-page New York Times Sunday Book Review. It gets a starred Kirkus ("a book that will surely make readers want to grab someone's arm and exclaim, 'Listen to this!") and starred Publishers Weekly ("illuminating--and remarkably moving") and starred Booklist ("A captivating survey of animal and human emotions."). 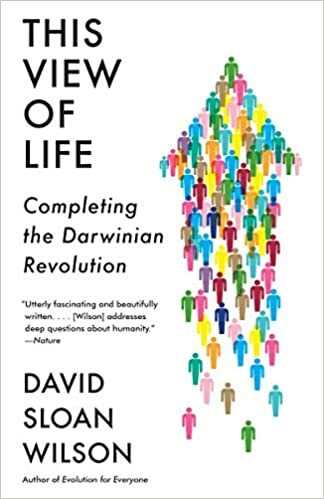 David Sloan Wilson's This View of Life: Completing the Darwinian Revolution is "utterly fascinating and beautifully written. . . . [Wilson] addresses deep questions about humanity: how we can avoid physical or mental illnesses, raise children, make groups more effective, create sustainable economies and nurture better planetary stewards", according to Nature Magazine. Kirkus, in a starred review, calls it "Splendid . . . An excellent argument that evolution applies to culture as well as organisms . . . [Wilson is] a masterful educator." 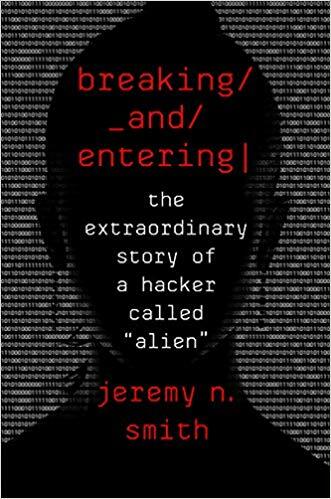 Jeremy N. Smith's Breaking and Entering: The Extraordinary Story of a Hacker Called Alien is featured on The Today Show, NBC News, and described as a "page-turning real-life thriller" in a starred Kirkus review. It is on Apple's Most Anticipated List and on Bookish's Must Read list. Booklist calls it "riveting" and Library Journal describes it as "fascinating and entertaining." The New York Times says "Smith's writing style...is crisp as he charts the course of Alien's life in a series of vignettes from uncertain undergraduate to successful business owner. The structure works because Smith is a lively storyteller." 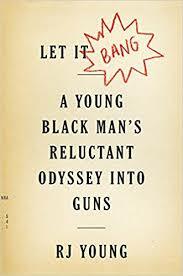 RJ Young's memoir Let It Bang: A Young Black Man's Reluctant Odyssey into Guns is one of Publishers Weekly's five most anticipated memoirs. It is called "honest and heartbreaking" and "searing." Pacific Standard says: "We need more books like this: personal, emotional meditations on gun ownership...showing us all the ways in which guns take on meaning for people, and what happens when those meanings collide." 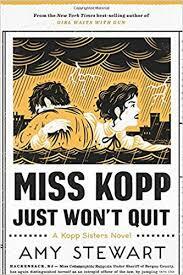 Amy Stewart's Miss Kopp Just Won't Quit is a September IndieNext Pick and gets starred reviews from Kirkus and Booklist. Her Kopp Sister series is in development at Amazon Studios. Hala Alyan's Salt Houses wins the Dayton Peace Prize and the Arab American Book Award! 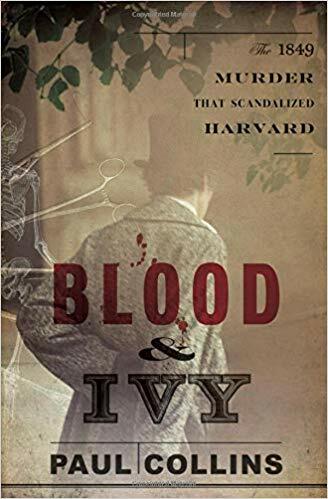 Paul Collins' Blood & Ivy is "well-researched and beautifully written... filled with Dickensian characters....Collins knows how to build suspense," according to the San Francisco Chronicle. Kirkus, in a starred review, calls it "a vivid true-crime tale from a fascinating bygone era" and Publishers Weekly describes it as "mesmerizing." Rebecca Kauffman's The Gunners is a Barnes & Noble Discover Selection. It is chosen Best Book by: Esquire Magazine, Harper's Bazaar, Vanity Fair Magazine, Entertainment Weekly, Real Simple Magazine, Nylon Magazine, Chicago Review of Books, TimeOut, Bustle, and JetSetter Magazine. Guy Winch's How to Fix a Broken Heart is a Bustle Best Book and Parade Must Read. Watch his Ted Talk. Shoba Narayan's The Milk Lady of Bangalore is a Barnes & Noble Discover Selection. 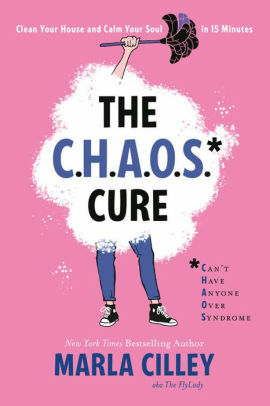 Oprah.com says "Joyful... the real reason you'll love this book is the author herself: a woman so curious, funny and self-deprecating that she is able to show us--delightfully--how the past informs our future." Watch the book trailer. Emily Midorikawa and Emma Claire Sweeney's A Secret Sisterhood is called "enthralling, illuminating, and a treat for fans of any of the writers who are covered" by Booklist in a starred review. Library Journal calls it "extraordinary detective work ... fascinating." Amy Stewart's Miss Kopp's Midnight Confessions is "perfect for bookclubs" according to Booklist. Publishers Weekly says: Stewart's third novel in her clever and original Kopp Sisters series continues the thorn adventures of Constance Kopp." 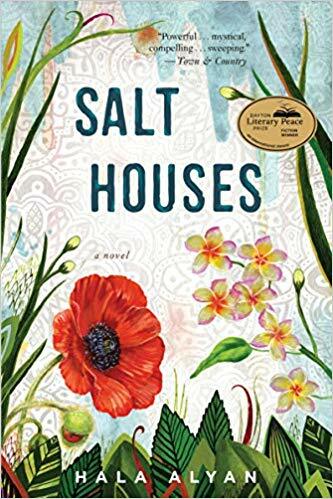 Hala Alyan's Salt Houses is named a Best Book of the Year by NPR, Nylon, Kirkus Reviews, Bustle and BookPage. The book is "moving and beautifully written," according to Entertainment Weekly and "[Alyan is] a master," says The Los Angeles Review of Books. Sharon Weinberger talks about her acclaimed Imagineers of War on Fresh Air and Leonard Lopate. The New Scientist calls the book "groundbreaking.... Provides a glimpse into the history of war itself through the lens of an agency that bills itself as trying to 'prevent and create surprise'.... The best kind of airport thriller." Nature calls the book "[A] fascinating and absorbing history." USA Today gives the book a rave review. Brian Alexander discusses Glass House on Fresh Air. 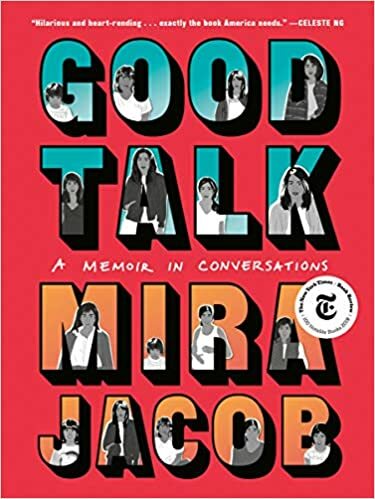 It is a New York Post Must-Read Book, a Newsweek Best New Book, one of The Week's 20 Books to Read in 2017, one of Bustle's 16 Best Nonfiction Books. Kirkus calls it "a devastating and illuminating book" in a starred review. The Wall Street Journal says "A devastating read...For anyone wondering why swing-state America voted against the establishment in 2016, Mr. Alexander supplies plenty of answers." The New York Times' Book Review calls The Original Black Elite by Elizabeth Dowling Taylor "brilliantly researched." It is a Time Magazine Pick. "Reads like a sweeping epic.... Essential," says Library Journal. © 2012 Tessler Literary Agency, LLC. All Rights Reserved.